He was born in Bursa in 1932. He completed his primary, secondary and high school education at Galatasaray High School. He received his higher education at Karlsruhe University in Germany. After returning to Turkey, he served as general manager, founder and chairman of the board in several companies in Bursa. He acted in Bursa Chamber of Commerce and Industry (BTSO) as a member of the board and vice president of the assembly. In 1973 he became a member of the municipal council. He was assigned to the office of vice-president of the assembly. In 1983 he became one of the founders of the Motherland Party (ANAP) in Bursa. In the general elections held in the same year, he was elected as the Bursa deputy. In 1987, his post as a parliamentary ended. Memduh Gokcen did not run as a candidate again and he resigned from active political life. 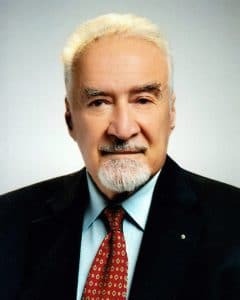 Memduh Gokcen, who supports historical and cultural studies relating to Bursa and who contributed to the publication of the Bursa Encyclopedia, is the Honorary President of Gokcen Holding, where his son Mehmet Celal Gokcen is the CEO. He was born in Bursa in 1959. He graduated from Karlsruhe Technical University in 1984. He is the Chairman of the Board of Directors at Bplas Bursa Plastik AS, Bemsa AS, B.E.R.K. Radyo TV A.S., Norm Cevre Tek. 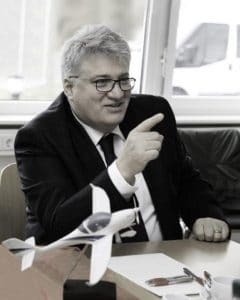 A.S., Stepin Tasarim Inc., Zey-Tur-San A.S. and Aquila Aviation Gmbh; Vice Chairman of the Board of Directors at Bursa Cimento Fabrikasi A.S.; and Member of the Board of Directors at BPO B-Plas Plastic Omnium A.S., Cemtas Celik Makina A.S., Roda Liman Depolama ve Lojistik İsletmeleri A.S., Bemteks Tekstil Ltd. Sti., Buris A.S., Gokcen San. Tic. Ltd. Sti., Bupet Bursa Petrol Urunleri A.S. Mehmet Celal Gokcen, who participated in seminars and courses in various fields such as at Tofaş, Toyota and Bureau Veritas, is highly proficient in all of English, French, German and Italian languages. Mehmet Celal Gokcen, who acted as the president of Bursa Rotary Club in 2011-2012 and the president of the Italian Cultural Association in 2012, is married with two children. She was born in Istanbul in 1976. In 1985 she graduated from Notre Dame de Sion High School. In 2001, she finished Galatasaray University Faculty of Law. While at university, she worked as an external affairs assistant at Aygaz and BP. She worked for six years at the internationally-operating Postacioglu Law Office, where she acted as an attorney in the final year of the faculty. She acted as Chief Legal Counsel and Brand Protection Manager for four years at Nike Turkey where she started to work in in 2006. In 2011, Zorlu founded Borbay Law Office with a lawyer friend with whom she worked for many years. She provides legal counsel for all kinds areas, including intellectual property, corporate law, corporate mergers and acquisitions other than the penal law. Gamze Boroglu, who speaks English and French, is married with one child. He was born in 1950 in Ankara. He graduated from the State Academy of Civil Engineering and Architecture (A.D.M.M. ), Department of Mechanical Engineering in 1972. He worked as a post graduate in Business Administration at Ankara Academy of Economic Sciences. In 1973, he became an assistant at the Engine Department at A.D.M.M.A. In 1976 he received his master’s degree from the Department of Industrial Engineering at Ege University. 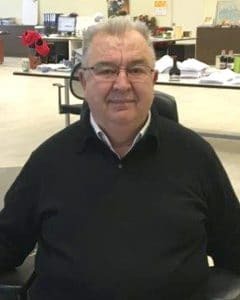 After studying foreign language in the USA, he laid the foundation of Zey-Tur-San together with Ibrahim Ersoy in Gedelek Village of Bursa in 1982, and built the plant’s machinery to produce Turkey’s first pasteurized pickles. In this respect, he carried out Turkey’s first pickle export to Germany. Since 1988, he has been working with great Turkish thinkers like Prof. Dr. Oktay Sinanoglu, Kazim Mirsan and Prof. Dr. Orhan Turkdogan, and published many of their books. He is still continuing his research on Turkish language and Pre-Turkic history. Turgay Tufekcioglu is married with two children.